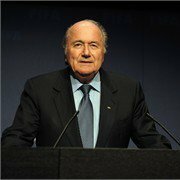 FIFA President Joseph S. Blatter spoke at length about the challenges facing the game in 2011 and beyond. In doing so he discussed the FIFA Ballon d'Or 2010, the 2014 FIFA World Cup Brazil™, women's football, refereeing and the Task Force Football 2014, among other issues. FIFA President Joseph S. Blatter: Last year was a World Cup year and it's no surprise that two of the three candidates should play for world champions Spain. As for Argentina's Lionel Messi, no one can deny he's an exceptional player. Spain's Vicente del Bosque is also in there as one of the three nominees for coach of the year. Brazil usually have a few candidates in the frame. Why do you think they're missing this time around? There are some Brazilians up for the FIFA/FIFpro World XI, but they're mostly defenders. That's a little bit of a surprise perhaps, but it's just a reflection of Brazil's approach at South Africa 2010. 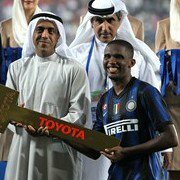 They played a European game based around a formidable defence comprising the likes of Julio Cesar, Maicon, Lucio, Juan and Michel Bastos. The three nominees for the FIFA Ballon d'Or are all relatively small in size. What do you think that tells us? That anyone can play football and that you don't necessarily have to be big and strong. That's always been the case, though. Just look at strikers like Gerd Muller and Uwe Seeler, Diego Maradona or Jean-Pierre Papin, who weren't very big players either. South Africa 2010 is still fresh in the memory and now 2014 is looming on the horizon. Yes. The World Cup will be taking place in a little over three years. The preliminary draw will be held on 30 July and there's still a lot of work to be done in terms of infrastructures. There's no time to waste. The next FIFA World Cup is being played in Brazil. Is it a case of football coming home? I'm delighted the tournament's going back to South America for the first time since 1978, when there were only 16 teams. Now there are 32 and the World Cup has taken on a whole new dimension since then. No matter where it is held, though, the World Cup is so big that our partners in both television and marketing will follow us anywhere. You've talked before about the social role of the FIFA World Cup. What will that involve in Brazil exactly? Our goal in Brazil is to create infrastructures in the provinces. A lot of the population live in Rio de Janeiro and Sao Paulo, but at the next World Cup we'll be going further north and to Manaus in the state of Amazonia. It's an emerging and very multicultural country with 200 million inhabitants, although there is still poverty as well. Nevertheless, I've no doubt the legacy of the World Cup will help in that respect too. Brazil 2014 aside, the year ahead promises to be a busy one. There are competitions in four different confederations in 2011: the CONCACAF Gold Cup, the AFC Asian Cup in Qatar, the Copa America in South America and the African Nations Championship. And then we have five FIFA World Cup competitions: the Women's World Cup, the U-17, U-20 and Beach Soccer World Cups and the Club World Cup. So we're going to be seeing a lot of good football this year. File photos of Jose Mourinho who has been selected FIFA's 2010 men's soccer coach of the year after leading Inter Milan to the European Champions League title. Mourinho, beat Vicente del Bosque of World Cup champion Spain and Pep Guardiola of Spanish champion Barcelona in the inaugural prize, announced during the FIFA player of the year ceremony. The Portuguese coach also led Inter to the Italian league and cup double before leaving to join Real Madrid. Agent Abdou nuhu said he was the right person to win the aword. he added he is the world best Coach according to my personal point of view. 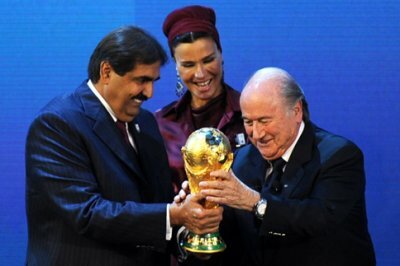 FIFA president Sepp Blatter has said that the 2022 World Cup in Qatar will be played in the summer as originally planned and discarded the idea of co-hosting the event with neighbouring countries. Blatter, reiterating comments made by FIFA two weeks ago, said there were no plans to stage a winter World Cup and any request to do so would have to come from the Qatari hosts who have already said they plan to stage the event in summer. "Everything is settled now for summer and with all 64 matches in the territory of Qatar," he told the BBC in an interview. "In the bidding documents it was clearly established that the executive committee reserved the right to change anything in the bidding process, but here in this case it must come from Qatar." The FIFA President had the pleasure of welcoming a special guest to the Home of FIFA recently when Nenad Stojkovic, FIFA Interactive World Cup Champion 2010, joined Joseph S. Blatter to celebrate the tournament's entry into the Guinness World Records 2011 Gamer's Edition. The FIFA Interactive World Cup is now officially the largest gaming tournament in the world, with 775,000 competitors taking part in the 2010 edition of the event. 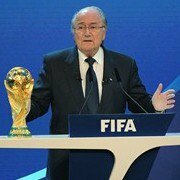 This event climaxed in Barcelona in May 2010 when Nenad was crowned champion after defeating all challengers at the Grand Final.“The FIFA Interactive World Cup is of great importance to FIFA's portfolio of events,” said Mr Blatter. “The tournament gives us the opportunity to engage with a wider target audience through a platform which is of high relevance to the next generations of football fans”.These words were echoed by the Editor of the Guinness World Records Gamer's Edition, Gaz Deaves, who congratulated FIFA and its Partners EA SPORTS and Playstation, saying: “The strength of the FIFA Interactive World Cup is a hugely impressive achievement and its 775,000 participants are a testament not only to the popularity of sports videogames but also to the incredible effort it takes to organise the biggest gaming tournament in the world. 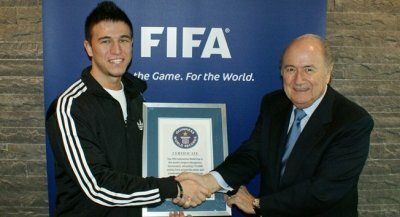 We are pleased to award this record to FIFA and look forward to seeing it broken in 2011.”This year's edition of the FIFA Interactive World Cup now promises to be larger than ever, breaking its own record for the number of competitors. The tournament has a new format this year, with six online seasons making the event more accessible than ever. For general information on the event click on the 'It's FIFA Interactive World Cup time!' link located to the right of this article.FIFA Interactive World Cup Champion Nenad has also committed himself to helping to improve the skills of fellow players all over the world. Every Friday a selection of Nenad's favourite tips and tricks will be hosted on the FIFA Interactive World Cup section of fifa.com, which can be accessed via the link on the right. 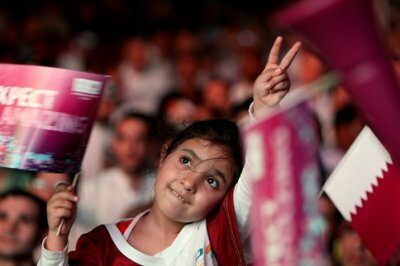 This World Cup has indeed excited our people and inspired them with a lot of hope. It has unleashed the energy and creativity of all sectors of our society. This soccer world cup has led to the delivery of infrastructure like the stadia, roads, airports, communication systems etc. Such infrastructure created jobs, contributed to the economy and to transformation. 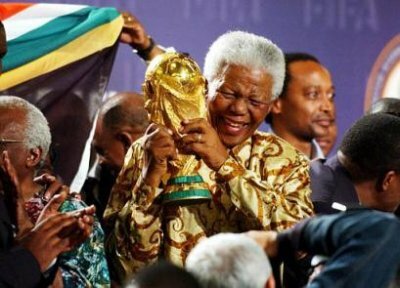 But above all, it boosted the morale of the nation, improved our image internationally and contributed immensely towards social cohesion and nation building.Soud africa 2010 is a pride to all africans. Rafael Benitez singled out TP Mazembe's explosive No15 as the biggest threat to Internazionale's hopes of lifting the trophy, and no wonder. Kaluyituka had been outstanding throughout the African champions' fairy tale run to the final, tormenting opposition defences with his pace, power and close control, not to mention scoring an outstanding goal in the 2-0 semi-final win over Sport Club Internacional. The Argentinian playmaker arrived in Abu Dhabi with a reputation as O Colorado's key player and justified that status despite the Brazilians' disappointing third-place finish. Thrilling only in flashes in the semi-final defeat to TP Mazembe, D'Alessandro was back to his dazzling best in the third-place play-off, capping an outstanding individual display with one of the goals of the tournament. Agent abdou said some children in africa prefer to play football than school. many children now dream to become football strars,like sameul eto'o Didier Drogba,and Michel essien. they all hope to play in football clubs like FC Barcelona. how ever thier dreams seams hard to realize but i belive some of these young africans street football players they are tallented.and some dreams are realized by the grace of God allmighty. 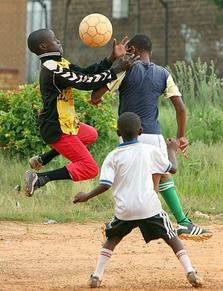 some of these street players are found in Yaounde Cameroon Some are in Abijan. some are in northern africa. but acording to my own view we have two african countries that have best street football players,Cameoon,and Ivory cost. It was the moment that many young Africans football fanatics had been eagerly waiting for: the first final of the Street Football League. 128 young people got together in early July at the Stanza Bopape football ground in Mamelodi in the South African province of Gauteng. 16 out of 200 teams from the region had qualified for the finals of the Street Football League, which had been launched in February 2008 by the Gauteng North Sports Council and streetfootballworld – a project of the German Youth Football Foundation. The idea behind streetfootballworld and its global network of over 60 organizations is development through football. BRAZILIAN SOCCER COACH AND LECTURER, INTERNATIONAL EXPERIENCE IN CLUBS AND NATIONAL TEAM AROUND THE WORLD.WORKING WITH EUROPEAN and BRAZILIAN METHODOLOGY TRAINING - KNOWLEDGE OF VARIOUS COACHING AND TEACHING METHODS AND STYLES. - KNOWLEDGE OF PLAYER DEVELOPMENT MODEL - ABILITY TO PLAN, ORGANIZE, CONDUCT AND EVALUATE PRACTICAL COACHING SESSIONS ON VARIOUS ASPECTS OF PLAY. - ABILITY TO WORK EFFECTIVELY IN A TEAM ENVIRONMENT - ABILITY TO DEMONSTRATE SPECIFIC SOCCER SKILLS - ABILITY TO COMMUNICATE EFFECTIVELY.IN CONTACT WITH AGENT ABDOU. FOR SERIUS SERVICES AS FAR AS SOCCER IS CORNSERNED.